Someone may meet with a personal injury attorney serving Baltimore following a variety of situations, including car accidents, medical malpractice, and slip and fall cases. 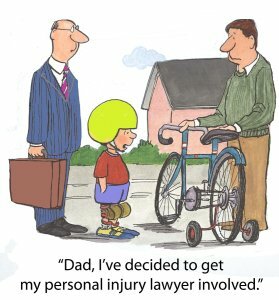 A personal injury attorney helps clients when someone else’s negligent or intentional act causes harm. However, it’s important to remember that not every situation in which someone suffers an injury leads to liability. Car accident cases are some of the most common personal injury claims in the United States. A car accident lawyer represents injured victims when other drivers weren’t following the rules of the road or driving as carefully as they should have been. An accident attorney helps hold negligent drivers financially responsible for injuries stemming from the car accident. However, exceptions exist in no-fault states, which require drivers to collect from their own insurance companies, unless the injury is serious. A personal injury law firm also represents those injured in slip and fall cases. Property owners are legally obligated to keep their properties safe and hazard-free. Though landowner duties may vary by state, landowners who fail to keep their properties safe may be held legally responsible for related injuries. Drivers should take drunken driving offenses very seriously, as they can result in significant legal consequences, fines and possible jail time. While having a small amount of alcohol is not a crime, it is illegal to drive with a blood alcohol content over the legal limit. If someone is facing a DUI charge, he or she should consult with a DUI attorney in Baltimore . In this video, a DUI attorney outlines some of the consequences of a drunk driving conviction. As he explains, conviction can result in thousands of dollars in fines, jail time, increased insurance costs and license revocation. However, these penalties vary from state to state, so it’s important to discuss a DUI charge with a local DUI lawyer. Not only will a DUI attorney be able to explain the law in a particular state, but a DUI law firm can represent a driver’s rights in court. A workers’ compensation attorney near Baltimore helps injured workers file claims when they suffer work-related injuries. According to a BLS 2012 report, the most common work injuries resulting in days off were sprains, strains, and tears, as reported by BusinessInsider.com . By far, the most common of these injuries were back injuries, which result from overexertion in lifting or lowering. The musculoskeletal system supports the body’s movement through bones, joints, muscles, tendons, and ligaments. Common workplace injuries workers’ compensation attorney handles involving the musculoskeletal system include bursitis, carpal tunnel syndrome, and muscle strains. The most common muscle strains affect the neck, upper back, lower back, and shoulders. One way for workers to help prevent these kinds of injuries is by creating a more comfortable and efficient workstation. For example, the computer monitor should be directly in front of the user, with the top of the screen positioned at eye level. Workers on construction sites are prone to falling object injuries, but office workers may also need to consult with a workers’ compensation lawyer for falling shelf injuries. Preventing these kinds of injuries requires employees to be diligent and employers to keep the work environment free of hazards. On construction sites where falling object injuries are more likely to occur, employees should be equipped with proper personal protection gear. If the employer does not provide this equipment and a worker suffers an injury, the worker should consult with a workers’ compensation law firm. Overexertion injuries relate to pulling, lifting, pushing and carrying work objects. Not only are these kinds of injuries the most common for a workers’ compensation attorney, but they are also the most expensive. To prevent these injuries, workers need to avoid working in an awkward posture, which places too much stress on the lower back. Additionally, workers should limit the amount of weight they carry and keep tools in working condition. Workers may also suffer overexertion injuries from repetitive jobs, which don’t provide enough time for muscles to recover from muscle tension. These motions can also increase stress levels, which cause muscle to tense. A workers’ compensation attorney near Baltimore helps injured employees navigate the state-mandated insurance program that provides compensation for those who suffer job-related injuries and illnesses. While the federal government has a workers’ compensation program for federal workers, each state has its own laws regulating state workers’ compensation programs. The best way for someone to get up-to-date information about his or her state’s workers’ compensation is by meeting with a workers’ compensation law firm. Workers’ compensation pays hospital and medical expenses necessary to diagnose and treat the injury. However, it also provides disability payments for anyone unable to work due to the work injury or illness. This is usually about two-thirds of the worker’s regular salary. The workers’ compensation program may also pay for retraining, rehabilitation, and other benefits. Meeting with a workers compensation attorney is the best way to understand what extent of coverage the state offers. While workers’ compensation may cover most on-the-job injuries, it does not cover all. As a workers’ compensation lawyer would explain, the system is designed to provide benefits to all injured workers, even if the injury was caused by the employer’s or employee’s carelessness. However, there are coverage limits if the employee was intoxicated or using illegal drugs at the time of sustaining the injury. 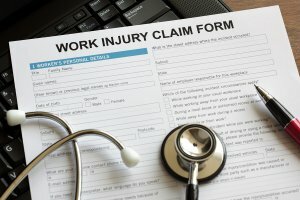 Coverage may also be denied if the injuries are self-inflicted, sustained away from the job, or suffered while the employee was committing a crime. For a full list of workers’ compensation limitations, an injured worker should consult with a local workers’ compensation law firm. In order for someone to obtain workers’ compensation benefits, he or she must show that the injury is work-related. Usually, an injury sustained while doing something for the benefit of the employer meets the definition of work-related injury. However, the injured worker still needs to meet the other eligibility requirements to qualify. Though this may seem like a simple rule, but when an injury falls into a gray area, the worker should consult with a workers’ compensation attorney to learn about eligibility and benefits. Top Baltimore Injury Lawyer. Jack J. Schmerling. ©2018 All Rights Reserved.